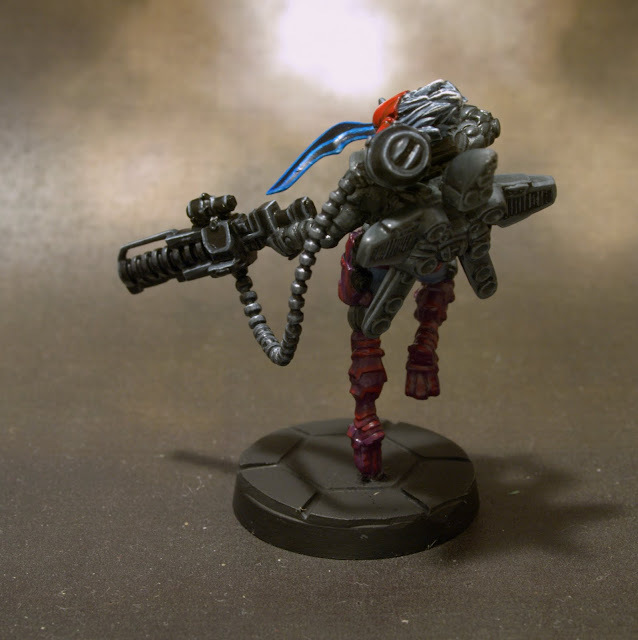 I have finished painting my first TAG for the Combined Army – the Avatar. As the biggest and nastiest of the EI Aspects, I followed the same basic color scheme I used for the Charontid – shiny black with blue glowy stuff. Since I was working with such large areas and wanted to be able to get smooth gradients across them, I used the airbrush to paint much of this model. 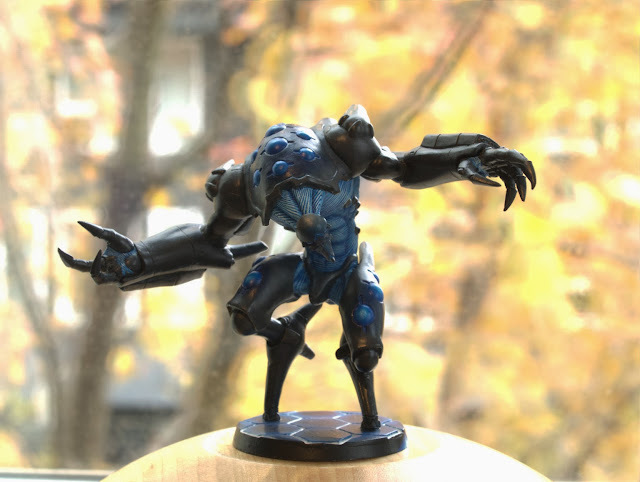 After a few tries, it was pretty easy to get the effects I wanted, and I will definitely be using this tool again on other large figures. I decided to try another experiment, and the picture I took is an HDR image composited from several shots taken at several different exposure levels. It was a little work to get the tools set up, but it was a decent way to sidestep the usual problems with areas of shadow deep in the recesses of the model. Again, this is something I will probably be using again in the future. That said, this still isn’t a terribly great picture, and I’ll want to get another one with a proper backdrop and less glare. Sarah and I participated in Orange Crush this year. It’s an annual charity event in which gamers sign up to paint models from a Warmachine/Hordes army with a theme of the color orange. The armies are then raffled off with all proceeds going to hunger-related charity. The army this year was the newly released Convergence of Cyriss, which features a lot of clockwork and Art Deco stylings. 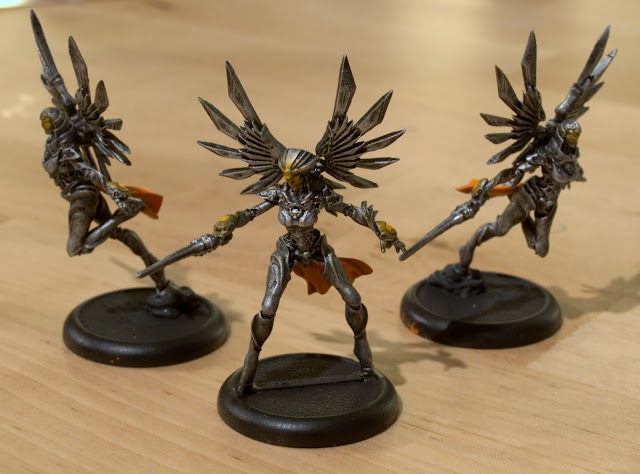 I painted the Clockwork Angels, and was able to finish them relatively quickly despite getting a late start on the project by using simple and efficient techniques. I’m pretty happy with how they turned out, though, and look forward to seeing the photos of the entire completed armies. I painted a couple of other models over the year (sometime in the May to July timeframe, I think) that I never got around to posting about. 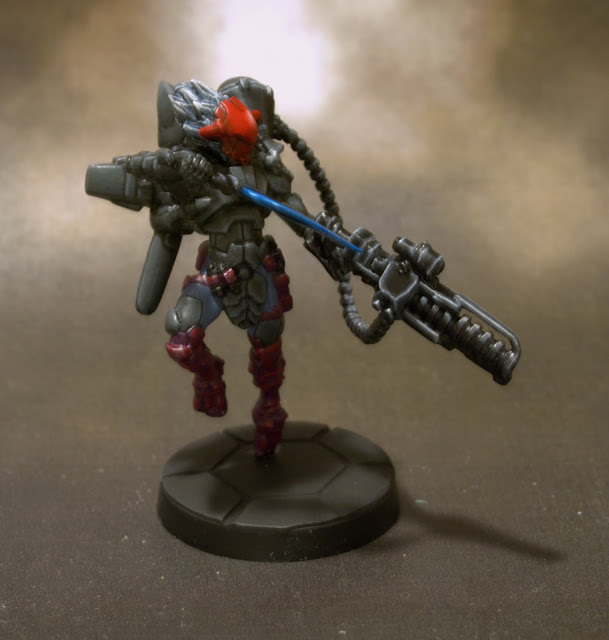 First, there’s the Zerat Sniper. 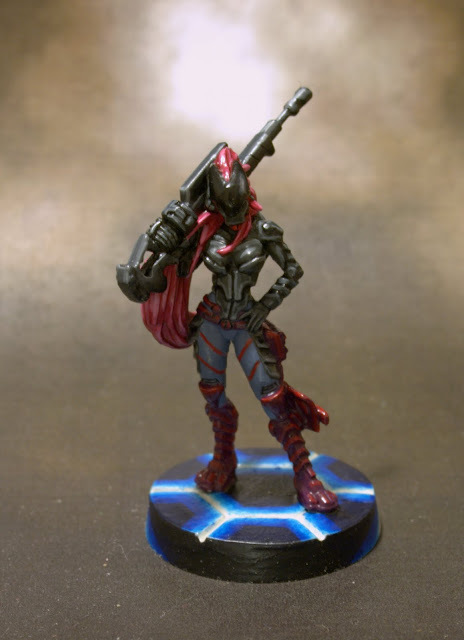 The original Zerat Hacker is one of my favorite models in the entire Infinity line. I rather enjoy the Sniper variant as well. I decided to paint this model because I had gotten worn out painting little blue glowy bits on the SkiÃ¡voro I was working on. The other model I painted is the Spitfire Rasyat. I never actually finished his base, but the rest of the model is done and sealed. 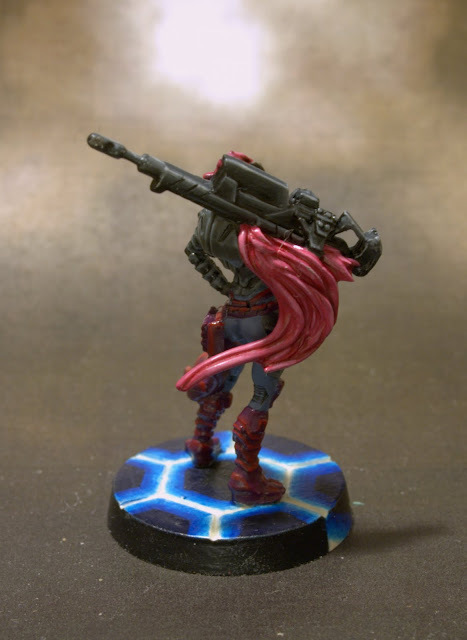 While I usually end up using the Boarding Shotgun version in-game, and have converted a model to have that weapon, I really enjoy the sense of motion that this guy has. Next post will be another model I started painting over the summer, but didn’t finish until just a few days ago. You are currently browsing the Home of the Ghostlords archives for December, 2013.